New Zealand/ North Waikato/ Mercer/ Mercer Airfield (NZME) – A plane impacted airport terrain. The sole pilot onboard received minor injuries. Australia/ SA/ Hawson – A Jabiru J200 plane (19-3607) force landed to farm field terrain. No injuries. Tanzania/ off Mbudya Island – A military Hongdu K-8 Karakorum training jet crashed into the sea. Both occupants are presumed to have died. US/ CA/ Catalina Island/ near Catalina Airport (KAVX) – A Cessna 172L Skyhawk (N4286Q) landed short of Runway 22 at Catalina Airport (KAVX), CA. The airplane came to rest down an embankment, sustaining substantial damage. No injuries. US/ SC/ Lake Hartwell/ near Mt Tabor Landing – A Piper PA-32R-301 Saratoga SP (N782TM) experienced an in flight breakup and impacted trees and the waters of Lake Hartwell in Oconee County, SC. The 4 occupants onboard died. Australia/ SA/ Victoria Park – A Cessna 182H (VH-DNZ) experienced an engine failure during a skydiving practice routine and was subsequently ditched in a parkland, resulting in substantial damage to the aircraft and minor injuries to 2 occupants. Nicaragua/ near Veracruz – A Piper PA-31 Navajo (C-GCMD) crashed, while it was conducting a geological survey flight. The pilot died in the accident. China/ Henan Province/ Huixian City/ Changcun Township – A glider crashed killing the pilot and 2 persons on the ground. Japan/ Osaka International Airport/ Itami (ITM/RJOO) - All Nippon Airways ANA Airbus A320-211 plane (JA8947) aborted takeoff due to No.2 engine failure on the runway 32L at Itami. The airplane's speed was as high as 70 knots (130 km/h) when the takeoff was aborted. The debris of the fractured turbine blades were spread on the runway for a few hundred meters long. No injuries. Canada/ ON/ Chatham-Kent/ Chatham-Kent Municipal Airport (CYCK) – A Mazurek Spit 24 aircraft (C-FBQD) force landed to cornfield terrain during an attempted return to the point of departure. The airplane sustained apparent minor damage and the sole pilot onboard received minor injuries. US/ WA/ Deer Park/ near Deer Park Airport (KDEW) – A Taylor Coot A amphibian plane (N69BD) experienced a stall while maneuvering in the pattern and impacted wooded terrain. The sole pilot onboard received fatal injuries. US/ WA/ King County north of Fall City – A Cessna TU206G Turbo (N206HL) experienced a stall and impacted brush field terrain. The sole pilot onboard received serious injuries. Germany/ Ellermuhle Airport/ Landshut (EDML) – A Reims/Cessna FR172 K Hawk XP and another plane collided on the ground while taxiing, causing damage of 80.000 EUR. UAE/ Dubai-Palm Drop Zone Airstrip - Skydive Dubai de Havilland Canada DHC-6 Twin Otter 200 (DU-SD4) sustained damage in a landing accident. The aircraft came to rest nose down on a shed about 100 meters from the threshold of runway 24. Indonesia/ Sulawesi Island/ Mount Latimojong - Aviastar Mandiri de Havilland Canada DHC-6 Twin Otter 300 plane (PK-BRM) crashed on the Mount Latimojong. All 10 occupants onboard were killed. Afghanistan/ Jalalabad Airport (JAA) - A U.S. military C-130J-30 Hercules transport plane (08-3174) crashed shortly after take-off at an airfield in Afghanistan just after midnight on Friday, killing 14 people, the U.S. military said, describing the crash as an accident. Six U.S. military service members assigned to the 455th Air Expeditionary Wing and 5 civilian contractors who were employed by the U.S.-led international force in Afghanistan were killed in the crash. Three Afghan nationals were also killed, a U.S. military official said. On Saturday, the Department of Defense named the dead Americans as Capt. Jonathan J. Golden, 33, of Camarillo, California; Capt. Jordan B. Pierson, 28, of Abilene, Texas; Staff Sgt. Ryan D. Hammond, 26, of Moundsville, West Virginia; Senior Airman Quinn L. Johnson-Harris, 21, of Milwaukee, Wisconsin; Senior Airman Nathan C. Sartain, 29, of Pensacola, Florida; and Airman 1st Class Kcey E. Ruiz, 21, of McDonough, Georgia. The four-engine turboprop aircraft plummeted shortly after midnight local time (3:19 p.m. ET) at Jalalabad airfield. UK/ Essex/ near Chigwell - London Executive Aviation Beechcraft B200 Super King Air (G-BYCP) was destroyed after impacting a field 3,5 km southwest of Stapleford Airport, U.K. Both occupants died in the accident. Australia/ WA/ 12km W of Landor Races Airport (YLNR) – A Cessna 172M (VH-IMY) crashed injuring slightly the pilot. Israel/ central Israel/ near the Ein Vered moshav – An ultralight aircraft crashed. Both occupants were seriously injured. Colombia/ nr Guaymaral – A Piper PA-31-325 Navajo C/R (HK-3909G) was destroyed when it crashed in a field shortly after takeoff. Two occupants died, 1 was injured. US/ CA/ Redding/ near Benton Field Airport (O85) – A Cessna 172B Skyhawk (N7837X) experienced a runway overrun during a downwind landing. The airplane sustained substantial damage and one of the two occupants onboard received serious injuries. One occupant onboard the aircraft was not injured. Canada/ QC/ Laval/ Milles-îles river - A seaplane flipped over. The pilot was slightly injured. Ukraine/ Gorodotskiy district/ Lviv Region/ Lisnovichi – A Zenair CH 601 XL Zodiac plane crashed. The 2 occupants onboard received fatal injuries. New Caledonia/ near Voh – A fire fighting Eurocopter AS 350B3 Ecureuil (F-OIAO) crashed during a water refill operation. A strong wind was blowing. A woman (47) pilot and the mechanic (31) died during crash. South Africa/ Potchefstroom – A glider crashed killing a man. Slovenia/ Bovec – A Pipistrel Virus S-Wing 100 plane (I-B939) enveloped a stall. Wing’s panel separated. Seconds before impact with the ground the crew activated the Ballistic Parachute System successfully. US/ UT/ Cedar City/ SW of Cedar City Regional Airport (KCDC) - A Cessna 152 (N6449M) plunged into Quichapa Lake, a dry lake bed west of Cedar City. Both pilots' bodies were found at the scene of the crash. Both men were instructors with flight experience. US/ SD/ near Parkston – A Robinson R44 helicopter (N442RP) crashed into a building during takeoff. The 4 persons onboard were injured. US/ MO/ Dexter/ near Dexter Municipal Airport (KDXE) – A Cessna 150G (N3174J) impacted wooded terrain in Stoddard County, MO, shortly after takeoff. The airplane sustained substantial damage and the sole pilot onboard received undetermined injuries. US/ AZ/ Marble Canyon/ Cliff Dwellers Airport (AZ03) – A Bushmaster LS180S plane (C-FIIB) impacted high desert terrain while on approach to Cliff Dwellers Airport (AZ03), Marble Canyon, Arizona. The airplane sustained substantial damage and one of the two occupants related onboard received minor injuries. One occupant onboard the aircraft was not injured. Gusting wind conditions may have been a factor to the accident. South Africa/ Limpopo/ Bochum – A Bell 206B JetRanger II helicopter (ZS-HDW) struck a pole while installing antennas. Several people on the ground were injured by flying debris and two of the three occupants were fatally injured. A third occupant received serious injuries. US/ TX/ Bryan/ Coulter Field Airport (KCFD) – A Breezy RLU-1 aircraft (N477UC) impacted airport terrain while maneuvering. The sole pilot onboard received minor injuries. Colombia/ Meta – A police Bell UH-1H helicopter (PNC-073) made an emergency landing and burned out due to a technical fault. Venezuela/ Los Hatos (Municipio Capatarida/ Estado Falcon) – An Aero Commander 680FL plane (N577ZB) impacted desert terrain and burst into flames. Both men onboard died. Brazil/ Minas Gerais/ Serra do Caraca – A Neiva Embraer 711C plane (PT-NKU) crashed killing the 2 occupants. Bahamas/ waters off Grand Bahama – A training Cessna 152 (N89540) ditched in the water after experiencing a technical failure. Both trainer pilot and trainee remained unhurt. Mexico/ Veracruz - Mexican government Bell 430 helicopter (XC-VER) crashed killing the 2 occupants. South Africa/ Limpopo/ near Lephalale – A Robinson R44 helicopter (ZS-HIG) crashed and both occupants were injured. US/ WA/ Paine Field (PAE) - Flying Heritage Collection Hawker Hurricane XIIA plane (NX54FH) experienced tire failure on landing. US/ TX/ SW of Jasper/ Lake Steinhagen – A Beech A36 Bonanza (N4151Q) experienced fuel exhaustion and ditched in the waters of Lake Steinhagen, TX. The pilot and three people who were in the plane swam to shore. The pilot received minor injuries. US/ NE/ Chadron/ near Chadron Municipal Airport (KCDR) – A Beechcraft P35 Bonanza (N877DM) crashed killing the pilot. Ghana/ Tamale Airport (TML) – Starbow British Aerospace BAe-146-300 passenger plane (9G-SBB) sustained substantial damage in a landing accident. The nose landing gear collapsed. US/ CA/ Compton/ near Compton/Woodley Airport (KCPM) – A Piper PA-28-180 Cherokee (N7506W) force landed to residential terrain shortly after takeoff due to an engine failure. The pilot received serious injuries. The plane is registered to Tomorrow’s Aeronautical Museum in Compton. Australia/ NT/ Darwin/ Darwin International Airport (YPDN) – A Robinson R44 II helicopter (VH-ZWA) rolled during takeoff, resulting in substantial damage. US/ CA/ Georgetown/ Georgetown Airport (E36) – A Luscombe 8F Silvaire plane (N9918C) experienced a loss of directional control and subsequent runway excursion upon landing. The 2 occupants onboard received serious injuries. US/ TN/ Knoxville/ Knoxville Downtown Island Airport (KDKX) – A Beech S35 Bonanza (N449CT) force landed to open pasture terrain shortly after takeoff. The 2 occupants onboard received minor injuries. Maldives/ Addu Atoll/ Gan/ Gan International Airport (VRMG) – A training Cessna 150L (8Q-GAC) went on to a nose dive after a bounce upon landing. No injuries. Nepal/ near the Machhapuchhre Mountain - Pokhara Ultralight Company Comco Ikarus C42 (9N-ALI) with 2 occupants onboard is missing. Wreckage has not been found yet. As search operations have been suspended on 4 November 2015, both occupants are presumed to have died. Italy/ Montescaglioso (MT) – A Schroeder Fire Balloons G30/24 (D-OJZW) had contacted high tension wires. Two boys died when they fell or jumped from the hot air balloon. US/ AK/ Matanuska-Matanuska Borough/ Southeast Houston – A Cessna 150F (N7064) impacted roadway terrain in a lightly timbered area. The sole pilot onboard the airplane received fatal injuries. US/ MI/ Smiths Creek/ near Johnson Field Airport (11G) – Unregistered Airdrome Dream Classic aircraft impacted open field terrain in Kimball Township in St Clair County east of Johnson Field Airport (11G), Smiths Creek, Michigan. The sole pilot onboard received serious injuries. US/ ID/ Round Mountain north of Hope – A Cessna 182P Skylane (N6184F) impacted mountainous terrain. The airplane was destroyed by the post-impact fire and there were no reported survivors. Two deceased persons were found at the crash site. Search crews are looking for a possible third person. US/ GA/ Jasper/ near Pickens County Airport (KJZP) – A training Piper PA-38-112 Tomahawk (N4313E) suffered an engine power loss and impacted parking lot. The solo student pilot onboard received fatal injuries. Mexico/ Maruata/ municipio de Aquila – A Cessna performed an illegal flight when the plane crashed killing the 2 occupants. The aircraft was carrying drugs. US/ IA/ Red Oak/ near Red Oak Municipal Airport (KRDK) – A Cessna 177RG Cardinal (N1542H) force landed to cornfield terrain due to an engine failure. No injuries. Lithuania/ Kaunas – A training Tecnam P92 (LY-UBO) force landed due to an engine failure. The plane was damaged. US/ TN/ Buffalo Mountain south of Johnson City – A Columbia LC41-550FG plane (N1058S) crashed killing a Bloomington man and his daughter. US/ GA/ Hilton Head/ Savannah-Hilton Head International Airport (KSAV) – A Piper PA-28R-200 Arrow (N9312N) impacted trees and golf course terrain. The 2 occupants onboard received serious injuries. US/ MI/ St. Clair County, Kimball Township – An ultralight plane crashed on takeoff injuring the sole pilot onboard. US/ FL/ Volusia County north of Seville – A Cessna 172S Skyhawk (N5295Y) crashed. One of three occupants onboard received fatal injuries. Two occupants onboard the aircraft received serious injuries. Germany/ Langeoog – A Cessna F172H Skyhawk (N5295Y) landed short of the runway; damaged. Germany/ Krembz – A Piper PA-32R-301 (D-EWMC) made an emergency landing in a field due to an engine failure; damaged. Nigeria/ Adamawa State/ Hong – A Chengdu F-7Ni fighter jet (NAF801) crashed in bad weather. The pilot died in the crash. US/ AZ/ Tucson/ Tucson International Airport (KTUS) – A Cessna 310J (N3123L) experienced a landing gear collapse upon landing. No injuries. UK/ Highland/ Cromarty Firth, near Evanton, Easter Ross – A Pegasus Quik GT450 microlight (G-CDUH) went down in the waters near Evanton, UK. The 2 people on board the aircraft were taken to Raigmore Hospital in Inverness. US/ CA/ South Lake Tahoe/ Near Lake Tahoe Airport (KTVL) – A Beechcraft G35 Bonanza (N4485D) impacted timbered residential terrain and a post-impact fire ensued. Both occupants died. Afghanistan/ Kabul - 230 Sqdn, Royal Air Force (RAF) Westland Puma HC.2 (SA 330E) helicopter (XW229) crashed on landing. The helicopter collided with cable of a tethered surveillance balloon/Aerostat. Two crew members (Aircraft Captain and Crewman) and 3 passengers (2 United States (US) military and one French civilian) were killed. The third crew member (Co-pilot) and 3 additional passengers (one US military, one US civilian and one Lithuanian military) suffered various major injuries. One Turkish military bystander sustained major injuries. Indonesia/ Lake Toba in the Onang Runggu subdistrict of Samos – An Eurocopter EC 130B4 (PK-BKA) crashed into the lake. He stated that all five occupants jumped from the helicopter before the helicopter crashed into the lake. As the 4 other occupants have not been found, they are presumed to have died. Russia/ near Khanty-Mansiysk – A Pelikan-2 aircraft (RA-0441A) crashed killing the 2 occupants. Netherlands/ Lelystad Airport (LEY/EHLE) – An Aero AT-3 R100 aircraft (PH-GEH) crashed on landing. The pilot was slightly injured. France/ Between Escot and Marie-Blanque pass (Pyrenees) – A Scheibe SF 28A Tandem-Falke motorized glider (F-CFTJ) crashed in a wood. Both occupants were injured. US/ FL/ Atlantic Ocean east of Miami Beach - A Cessna 172N Skyhawk (N733VB) ditched in the waters of the Atlantic Ocean. The sole pilot onboard the aircraft was not injured. US/ MN/ Mankato/ Mankato Regional Airport (KMKT) – A Maule M-7-235C plane (N3180G) experienced a loss of directional control and subsequent runway excursion upon landing. The airplane sustained substantial damage and the sole pilot onboard was not injured. Singapore/ Singapore-Changi International Airport (SIN/WSSS) – The nose gear of the Airbus A330-343 (9V-STG) retracted while the aircraft was at Gate A17 at Singapore-Changi International Airport undergoing a landing gear system check. No injuries. Afghanistan/ Bamyan Province - Two pilots were killed and 5 passengers were injured Monday when a small Afghan military plane, Cessna 208B Grand Caravan (YA22382) struck a mountain ridge while delivering the body of a deceased soldier in Bamian province. Afghanistan/ Logar province/ Kharwar district – A military helicopter crashed upon takeoff due to a technical failure. Two crew members were injured. US/ TX/ North of Waskom – A Diamond DA20-C1 plane (N165DC) experienced fuel exhaustion and force landed to open field terrain. The airplane sustained minor damage during the subsequent nose gear collapse. No injuries. US/ TX/ Dallas/ Dallas Love Field Airport (KDAL) – A Beechcraft A36 Bonanza (N55674) impacted an airport perimeter fence during taxi for takeoff. No injuries. US/ TX/ Decatur/ near Decatur Municipal Airport (KLUD) - The aircraft, an experimental Rich built Woodstock I (N21468), impacted open field terrain north of the approach end of Runway 17 at Decatur Municipal Airport (KLUD), Decatur, Texas. The glider sustained unreported damage and the sole pilot onboard received fatal injuries. Canada/ SK/ Prince Albert/ Prince Albert Airport (CYPA) – A Piper PA-18-150 Super Cub (C-FGLT) experienced a runway overrun and came to rest gear up during a takeoff attempt. No injuries. Canada/ QC/ Outaouais/ Terreur Lake – A floatplane impacted the waters of the Terreur Lake during a takeoff attempt in gusting high wind conditions. The 2 occupants onboard received minor injuries. US/ PA/ Cooper Township near Kylertown - The aircraft, an experimental Murray built Free Bird Classic (N176FB), impacted roadway terrain while on approach to the pilot's private airstrip near Kylertown, Pennsylvania. The airplane sustained substantial damage and the sole pilot/ owner onboard received fatal injuries. US/ NC/ Salisbury/ Rowan County Airport (KRUQ) – A Piper PA-32RT-300 Lance II (N300KG) experienced fuel starvation and impacted the approach lighting system short of the runway threshold while on approach. No injuries. Somalia/ near Afgooye - Tristar Air Airbus A300B4-203F cargo plane (SU-BMZ) carried out a forced landing near Afgooye, Somalia. The aircraft operated on a flight from Oostende, Belgium and Cairo, Egypt to Mogadishu International Airport, Somalia, carrying a cargo on behalf of the African Union Mission In Somalia (AMISOM). After several failed attempts to land the crew apparently force landed in the outskirts of Mogadishu. Approaches to the airport were hampered by the night time conditions and the lack of aids that would allow the aircraft to land in these conditions. Sunset at Mogadishu was at 17:47 hours local time. US/ FL/ West Palm Beach/ near Palm Beach County Park Airport (KLNA) – A Piper PA-28-180 Archer plane (N57312) crashed into a Florida trailer park Tuesday, killing the pilot and a person on the ground while sparking a fireball that engulfed two homes, authorities said. US/ CO/ Weld County/ NЕ of Eaton – A Beechcraft G35 Bonanza (N394CW) impacted farmland in a near vertical descent northeast of Eaton, Colorado. The airplane was destroyed and the 2 occupants received fatal injuries. The National Transportation Safety Board determines the probable cause(s) of this accident as follows: The pilot's loss of airplane control in gusting wind conditions and low-level wind shear, following a loss of engine power due to fuel starvation. Japan/ Kumamoto prefecture/ Aso Dude Ranch, Yamada, Aso city – An Air Command R582 Commander Elite gyroplane (JE0146) crashed. The sole occupant was injured. Iraq/ near Tikrit - Iraqi Air Force Ghods Ababil drone (3-2-R 139) made a hard landing, due to a technical failure. 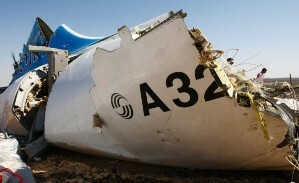 The wreckage was seized by IS fighters. US/ LA/ Hammond/ near Hammond Northshore Regional Airport (KHDC) – A Cessna 421B Golden Eagle (N33FA) experienced engine problems during takeoff and crashed on a highway near the airport while attempting to return to land. Both occupants onboard were killed. US/ WA/ Battle Ground/ NE of Goheen Airport (W52) – A Kitfox Series 5 plane (N533RC) lost power on takeoff, aircraft impacted a fence and came to rest inverted during the ensuing force landing to an open field. No injuries. France/ Doubs/ Glamondans - Swiss Air Force F/A-18D Hornet fighter jet (J-5235) crashed. The pilot ejected. He was slightly injured. US/ OH/ Cleveland/ Cleveland-Hopkins International Airport (KCLE) – A Piper PA-32R-300 Lance (N5510V) experienced a nose gear collapse upon landing. No injuries. Costa Rica/ Tobias Bolanos Airport in Pavas - A Piper PA-34-200T Seneca II (TI-ASY) made a belly landing. No injuries. US/ AL/ Eufaula/ West of Weedon Field Airport (KEUF) – A STOL CH 701 aircraft (N4931M) impacted the terrain and came to rest inverted shortly after takeoff. No injuries. US/ MT/ Missoula/ Missoula International Airport (KMSO) – A Bücker Bü-133 Jungmeister (N1940J) impacted airport terrain shortly after takeoff. The airplane was destroyed by the impact with terrain and consumed by the post-impact fire. The sole pilot onboard the aircraft received fatal injuries. US/ NM/ Aztec/ Aztec Municipal Airport (N19) – A Cessna 195A (N90K) experienced a loss of directional control and subsequent runway excursion upon landing.The airplane impacted a fence line, sustaining substantial damage. No injuries. Australia/ NT/ Galiwinku/ Elcho Island Aerodrome (YELD) – A Cessna 172RG (VH-HTP) landed with the landing gear retracted, causing substantial damage, and no injuries. Colombia/ 3,6 km (2.3 mls) NW of Yumbillo – A Cessna 208B Grand Caravan (PR-MIC) impacted mountainous terrain. All 3 occupants were killed. US/ ID/ Swan Valley/ near Little Elk Creek east of Palisades Reservoir - An Aviat A-1C-200 plane (N280TB) impacted mountainous terrain. The airplane sustained substantial damage and the pilot onboard was fatally injured. The only passenger, the pilot’s daughter, survived with serious injuries. US/ ID/ SW of Grace – A Maule M-7-260C plane (N288BC) nosed over inverted upon landing at a private airstrip. The airplane sustained substantial dama, ge and the sole pilot onboard was not injured. Tanzania/ Selous Game Park – A Eurocopter AS 350B3 Ecureuil (5Y-DKK) crashed during a flight from Dar es Salaam to the South West of Tanzania, killing all four on board as it came down in the Selous Game Reserve enroute to the town of Ludewa. New Zealand/ Westshore/ Napier/ Hawkes Bay Airport (KZNR) – A BAC 167 Strikemaster Mk 88 (ZK-BAC) made a belly landing. No injuries. US/ MI/ Ray/ Ray Community Airport (57D) – A Comp Air 8 aircraft (N224MS) landed short of Runway 27 at Ray Community Airport (57D), Ray, Michigan. The airplane sustained substantial damage and the pilot received minor injuries. US/ AR/ Clarke County/ near Dickinson – A Bell 206L-3 LongRanger III helicopter (N206CJ) experienced a tail rotor separation and impacted trees and terrain. The helicopter came to rest on its side, sustaining substantial damage. No injuries. US/ VA/ South of Mitchell's – An experimental Titan Tornado aircraft (N4070F) force landed to turf terrain. The aircraft impacted a fence. No injuries. Turkey/ near Syrian border – The Turkish Air Force has shot down an unidentified drone in Turkish airspace. US/ MS/ Grenada/ Grenada Municipal Airport (KGNF) – A Van's RV-6A (N8188D) experienced a loss of directional control and subsequent runway excursion. No injuries. US/ TX/ Lancaster/ near Lancaster Regional Airport (KLNC) – A Cirrus SR22 (N849CD) clipped powerlines and the CAPS system was deployed. The airplane impacted terrain and a post-impact fire ensued. The aircraft sustained substantial damage and the passenger received a serious injury. The pilot was not injured. Canada/ BC/ Baldonnel/ SE of Fort St. John - A Cessna 207 (C-GNVZ) plane crashed upon takeoff. Both occupants died in the crash. Russia/ Sverdlovsk Oblast/ near Krasnopole - Russian Air Force Mi-8 helicopter made an emergency landing during a training flight following a bird strike. One of the crew members was injured. South Africa/ Mossel Bay airfield – A training Guimbal G2 Cabri helicopter (ZS-HII) crashed. South Africa/ Mpumalanga/ 20 km North of Graskop – A Beechcraft Bonanza F33A (ZS-MRM) had collided with a rock formation in bad weather conditions. The pilot died. US/ CA/ Big Morongo Canyon, near Fork Springs – A Piper PA-28R-180 Arrow airplane was heading to Santa Barbara when it crashed in the San Bernardino Mountains. Both occupants had died. Iraq/ Wasit province/ Muwafaqiya area - US Army MQ-1 Predator drone crashed, due to a technical failure. Canada/ SK/ Regina/ Regina International Airport (CYQR) – A Beechcraft D95A Travel Air (N863M) sustained a landing gear collapse upon landing. There were no personal injuries. US/ NE/ WSW of Cortland – A Van's RV-4 plane (N999ZF) impacted farm field terrain west-southwest of Cortland, Nebraska. The airplane was consumed by the post-impact fire and the 2 occupants onboard received fatal injuries. Germany/ Rauenberg – A Cessna F152 II (D-EIOS) made an emergency landing due to an engine problem. Both occupants were injured. Chile/ Romeral Curico/ El Boldal – An agricultural Piper PA-25-235 Pawnee lost power and crashed. The pilot received minor injuries. Canada/ ON/ West of Beeton – A Glasair aircraft impacted powerlines and terrain while on approach to a private airstrip. A post-impact fire ensued. The pilot died. China/ Hong Kong Chek Lap Kok International Airport - Nepal Airlines Airbus A320-233 (WL), reg. 9N-AKX, was hit by a catering truck and apparently sustained substantial damage. No injuries. Italy/ Padova/ Medaglino San Fidenzio – An ultra light aircraft flipped over during a forced landing in a field shortly after takeoff. No injuries. Italy/ Garda Lake – A Cameron Z-90 hot air balloon (I-CEJR) touched the surface of Garda Lake in Italy. The balloon was recovered. US/ CO/ Colorado Springs/ Meadow Lake Airport (KFLY) – A Honeybee G2 gyrocopter (N461DH) experienced a rollover during a takeoff attempt. The sole pilot onboard received minor injuries. US/ TX/ McKinney/ McKinney National Airport (KTKI) – A Cessna 120 (N2099V) experienced a noseover during the landing rollout. No injuries. US/ TX/ near Wallisville – An AutoGyro Europe MTOsport (N3232Z) force landed to swamp terrain. The gyrocopter experienced a rollover, sustaining substantial damage. No injuries. Belgium/ nr Hannut/Avernas-le-Bauduin Airport (EBAV) – A B&F Technik FK12 Comet airplane (OO-G12) caught fire in flight. The pilot tried to land. The FK12 impacted terrain and burned. The pilot died. US/ NV/ near Searchlight – An agricultural Bell 47G-3B helicopter (N73224) crashed while rounding up wild cattle. The pilot sustained minor injuries. The pilot reported that during a 10 foot hover, he encountered a gust of wind and felt the tail rotor impact a tree. US/ SC/ Spartanburg County NE of Campobello – A Cessna 172 Skyhawk (N6636A) experienced a nose-over during a force landing to farm field terrain subsequent to a loss of engine power. The 3 occupants onboard received minor injuries. US/ TN/ Humbolt/ NE of Humbolt Municipal Airport (M53) – A training Beechcraft 23 Musketeer (N2339J) force landed to farm field terrain shortly after takeoff. No injuries. Colombia/ Downtown Bogota/ Engativa neighborhood – A Beechcraft B60 Duke plane (HK-3917G) impacted commercial structures in downtown Bogota. The airplane was consumed by the post-crash fire and the 4 occupants onboard were fatally injured. Seven people on the ground were injured and 2 other persons were killed. Turkey/ Hatay – US Army “Predator” drone crashed. US/ TX/ Rosharon/ near BB Airpark – A Cessna 172G Skyhawk (N3634L) came down near a Brazoria County home, clipping a white fence and then coming to a stop in the front yard. The pilot is complaining of back pain. He was taken to the hospital. UK/ Leicestershire/ Lutterworth/ Husbands Bosworth airfield – An AliSport Silent 2 Electro glider (G-CIYA) crashed. The pilot received serious injuries. Argentina/ BA/ San Fernando Airport - Top Air SA Learjet 35A (LV-ZSZ) was damaged beyond repair in a takeoff accident at San Fernando Airport, Argentina. The unprovoked acceleration of the left engine at the start of the take-off run was main cause to the accident. Both crew members escaped uninjured. Germany/ Koln/Bonn-Konrad Adenauer Airport (CGN/EDDK) - Just after takeoff from runway 14L at Köln/Bonn-Konrad Adenauer Airport an engine cowling door of no.1 engine opened and separated. The crew did not notice the incident and continued the flight to PMI. The Eurowings Airbus A330-203 (D-AXGA) landed safely. UK/ near Ely/ Cambridgeshire – A F/A-18C Hornet (165181/WT-00), assigned to VMFA-232, US Marine Corps (USMC), crashed into farmland near a Suffolk air base. The US pilot, was killed. US/ NV/ Gerlach - A Rans S-7S Courier plane (N272X) force landed to high desert terrain. The sole pilot onboard received minor injuries. India/ Shillong - Indian Army microlight plane crashed during a military training flight. Both occupants were injured. Israel - Israeli Defence Force (IDF) Sikorsky H-60 Black Hawk helicopter was damaged after it collided with a stork during a training exercise. Brazil/ Mato Grosso do Sul/ Jardim – A Cessna 210R (PT­-LKW) impacted a field shortly after takeoff. The pilot was injured. Kiribati/ Fishing Vessel Majestic Sun off Christmas Island – A Bell 206B JetRanger II helicopter (N1060C) crashed on takeoff. No injuries. The pilot reported that when he tried to takeoff, one of the tie downs was still attached to the helicopter and the helicopter rolled to the right and impacted the helipad. Brazil/ Mato Grosso/ Gleba Rio Vermelho/ Rondonopolis – A Cessna 150H (PR-DMT) crashed on approach for landing. Both occupants onboard died. Morocco/ 40 mi SW off Dakhla – Spanish Air Force's 802 Squadron AS 332B Super Puma helicopter (HD.21-07) ditched into the Atlantic Ocean with three crew members on board. On Thursday 29 the search ended with the discovery of the bodies of its 3 crew members. Canada/ SK/ North Saskatchewan River/ near Paynton - Oceanview Helicopters Ltd Hughes 369D (C-FOHE) was hovering at 325 feet above ground level when it experienced an engine failure. The helicopter began to descend and collided with terrain. Both the pilot and the platform worker sustained fatal injuries, and the helicopter was destroyed in a post-impact fire. Mexico/ 4 km W of Apaseo el Alto - Grupo Constructor Plata Learjet 31A airplane (XB-GYB) was destroyed when it impacted a field. All 4 occupants were killed. Australia/ NSW/ Private airstrip west of Sandy Beach – A Thorp T-18 Tiger aircraft (VH-INL) flipped over upon landing as it was caught by a sudden gust of wind. The pilot was injured. Mexico/ Acatzingo – A Cessna 150M (XB-KDE) was destroyed after impacting a field near a highway. Both occupants onboard died. US/ VA/ SE of Bluemont/ near Paxton – A Piper PA-32-260 Cherokee Six (N43249) impacted a fence during a force landed to open field terrain. No injuries. US/ NV/ near Ivanpah/ SW of Primm – A Piper PA-28R-200 Arrow (N9475N) experienced a midair collision with another aircraft, a Cessna 310C, registration N310CD, in San Bernardino County near Ivanpah, California, southwest of Primm, Nevada. The airplane force landed to a dry lake bed having sustained substantial damage. No injuries. New Zealand/ Dunedin/ Farmland at Ocean View – An Albatros D.V. Replica (ZK-DVR) made a forced landing due to engine failure. No injuries. US/ UT/ Utah County/ Elberta – An agricultural Cessna A188A AGwagon (N4401Q) force landed to rugged terrain and was destroyed by the subsequent fire. The pilot received minor injuries. Honduras/ La Labor/ Ocotepeque – A military Bell 412SP helicopter (FAH-977) crashed into trees on takeoff from a sport field. The tail contacted a lighting pole after which the pilot lost control of the helicopter. Three persons onboard were injured. France/ Megève Airfield – A Eurocopter EC 130B4 (F-GOLH) crashed on takeoff. Six of the 7 people onboard and a person on the ground received minor injuries. Australia/ SA/ Port Lincoln/ Port Lincoln Airport (YPLC) – A Mustang Aeronautics Midget Mustang MM-1 plane (VH-NSX) crashed. No injuries. US/ MA/ Worcester/ South of Worcester Regional Airport (KORH) – A Mooney M20M Bravo plane (N243CW) impacted timbered terrain shortly after takeoff. The pilot died. US/ AZ/ Prescott/ Ernest A Love Field Airport (KPRC) – A Luscombe 8A (N25100) experienced loss of direction control during the landing roll and ground looped. No injuries. US/ WI/ Winneconne/ Courtney Plummer Airport (9WN1) – A Piper PA-28-235 Pathfinder (N3979X) experienced an onboard fire and subsequent nosegear collapse upon landing. No injuries. US/ KS/ Ottawa County/ WSW Bennington – An experimental Buzzwing aircraft (N468VS) experienced a stall and impacted open field terrain shortly after takeoff. The sole pilot onboard received fatal injuries. Brazil/ Minas Gerais/ Guarani – A Robinson R44 II helicopter (PP-BAO) crashed into a lake just after takeoff. The pilot died. The passenger, his girlfriend, was injured, but she managed to swim to the shore. Spain/ Catalunya (Catalonia)/ Lerida (Lleida)/ Aerodromo de Mollerussa (CCS3) – A Tecnam P92 Echo plane (EC-KXK) failed to take off, hit a tree and burst in flames upon crashing in a water canal. Both occupants died. UK/ South Wales/ Margam/ Port Talbot/ Old Park Farm Airfield – A Pegasus Quik micro-light aircraft (G-CWVY) crashed on landing. Both occupants were seriously injured. New Zealand/ Raetihi – An agricultural Robinson R44 II helicopter (ZK-HUC) struck the ground with its tail during a spraying operation. No injuries. Mexico/ Mexico City-Benito Juarez International Airport (MEX) – “Interjet” Sukhoi Superjet 100-95B (XA-PBA) sustained substantial damage to the nose section when it hit a passenger bridge. US/ FL/ Broward County at Weston – A Piper PA-31-350 Navajo Chieftain (N55GK) impacted levee terrain during an apparent force landing. The 2 passengers received minor injuries. The pilot of the aircraft succumbed November 3, 2015. South Africa/ Johannesburg-O.R. Tambo International Airport (JNB) - A Boeing 737-400's landing gear collapsed after touching down at an airport in South Africa on Monday, making for some dramatic images but, luckily, causing no injuries. British Airways Flight 6234, operated by Comair, had just arrived to O.R. Tambo International Airport outside Johannesburg when crew noticed a problem. The plane’s reg. is ZS-OAA. US/ MS/ Mississippi Sound east of Gulfport - A small plane is missing and believed to have impacted the waters of the Mississippi Sound east of Gulfport-Biloxi International Airport (KGPT), Gulfport, Mississippi. Debris bearing the partial registration number "N817P_ has been located near Pascagoula, Mississippi, east of the departure airport. The 3 occupants onboard the aircraft were fatally injured. Weather may have been a factor to the accident. US/ FL/ Key Biscayne – A Cessna 150M (N171RD) force landed to golf course terrain due to an engine failure. No injuries. Canada/ SK/ near Kinley – A Bell 206B JetRanger II helicopter (C-GIFY) crashed in bad weather with severe icing. The pilot died. Brazil/ Parana/ Edu Chaves Airport – Paranavai – An Embraer Neiva 721C plane (PT-EXP) was performing an illegal flight, when it had been intercepted. The aircraft was abandoned on Sunday morning in Edu Chaves Airport. The plane had marks of 50 machine-gun fire on the left wing. Within the aircraft there was only the pilot's seat. Australia/ NT/ Katherine/ near Katherine Tindal Civilian Airport (KTR/YPTN) – A Van's RV-8 plane (VH-LCH) impacted trees during a force landing to rough, timbered terrain. The sole pilot onboard received minor injuries. Denmark/ off Romo – A fighter jet F-16AM (E-070) suffered problems with the landing gear after take-off. The pilot ejected over the sea. US/ CA/ Hemet/ Hemet-Ryan Airport (KHMT) – A Zenith Zodiac 601XL aircraft (N467SD) impacted airport runway terrain during a takeoff attempt. The sole pilot onboard received minor injuries. Libya/ Off al-Maya, west of Tripoli – A helicopter with at least 19 occupants crashed into the Mediterranean Sea, near the town of Zawiya, along the coast, west of Tripoli. The helicopter had been hit by anti-aircraft fire and crashed into the sea. No survivors. Argentina/ Las Heras/ Santa Cruz – A military Pilatus PC-6/B2-H2 Turbo Porter (GN-804) crashed. One of its wings detached in flight. Both occupants onboard died. US/ PA/ near Muncy, about 80 miles north of Harrisburg – US Army Raytheon JLENS unmanned surveillance blimp (or aerostat) hit power lines causing electrical outages. Somalia/ Afgoye District - A Dornier airplane chartered by the African Union Mission in Somalia (Amisom) reportedly crashed in a rural area in Afgoye District, Somalia. The number of occupants is unconfirmed. Sources vary, reporting that 9, 11, or 12 persons were aboard the plane. The fate of the occupants also remains unknown. The plane is in al-Shabaab hands. Al-Shabaab is a militant group, participating in the Somali Civil War. US/ FL/ Fort Lauderdale International Airport (FLL) - A Boeing 767-269ER (N251MY) operated by Dynamic Airways sustained damage in a fire accident at Fort Lauderdale International Airport, FL (FLL). The accident occurred before takeoff. Twenty-one people were taken to hospital with injuries. One of them sustained serious injuries during the evacuation. US/ AK/ Kenai Peninsula Borough/ Nikiski – A small plane impacted timbered terrain. No injuries. France/ Saint Pierre dels Forcats - Pyrenees Orientales – A Cessna F152 (F-GBJR) crashed in a field, while the pilot was trying to make an emergency landing. Both occupants onboard were injured. US/ AR/ Russellville/ NE of Russellville Regional Airport (KRUE) – A Raytheon (Beech) A36 Bonanza (N3BE) impacted trees and terrain shortly after takeoff. The airplane was destroyed by the impact with terrain and consumed by the post-impact fire. The 4 occupants onboard the aircraft received fatal injuries. US/ CO/ Durango/ Durango-La Plata County Airport (KDRO) – A Subsonex Jet (N346RG) experienced a gear-up landing. No injuries. Italy/ near Santhia, Vercelli - An AgustaWestland AW609 (N609AG) prototype has crashed near Santhià, in northwestern Italy, killing two test pilots. Russia/ Kamchatka Krai/ nord Petropavlovsk-Kamchatsky/ near Klyuchi - Russian Navy MiG-31BSM fighter jet crashed. Both pilots ejected, one of them was injured. US/ LA/ Offshore Installation West Cameron (WC) 167, GOM – PHI Bell 407 helicopter (N420PH) landed on an offshore platform. Several hours later, the pilot entered the right front seat to begin the engine start sequence. The pilot omitted to remove a main rotor blade tie-down, which resulted in substantial damage to a main rotor blade when the engine was started. Russia/ Sakha Republic/ Olenyoksky District – A Club ULM Rotor Ptenets-2 (RA-0347A) crashed. The pilot was killed, the passenger was injured. UK/ North Lincolnshire/ near Belton/ Sandtoft Airfield – A Jabiru UL-430 light aircraft (G-RYAL) made a crash landing short of a North Lincolnshire runway. The plane struck a lamp-post as it landed, before hitting a van and going across Sandtoft Road. Both occupants onboard were injured. Brazil/ Bahia/ Salvador – A Slick 540 plane (PR-ZVX) crashed into the sea during presentation of "Squadron Textor Show" in FAB event (Brasilian Air Force). The pilot died. UK/ Northamptonshire/ Holcot/ near Pitsford Water/ Brixworth Road – A Dragon Chaser aircraft (G-CHNP) crashed. The 70-year-old pilot sustained fatal injuries. An Airbus A321 (EI-ETJ), operated by Metrojet, was destroyed in an accident in central Sinai, Egypt. There were no survivors. The plane took off from the resort city of Sharm el-Sheikh at 05:49 h local time to St. Petersburg in Russia performing flight 7K9268 and disappeared from radar screens 23 minutes after takeoff. Flight tracking website Flightradar24 shows the aircraft climbing to 30875 feet, after which it shows erratic altitudes and speed indications. Last altitude recorded was 27925 feet at a speed of 62 knots.A local affiliate of the extremist Islamic State group claimed it "brought down" the aircraft. While the investigation into what caused the plane crash is ongoing, the plane "may well have been brought down by an explosive device," the spokesman for the office of the British prime minister said. Российский пассажирский самолет А-321 (EI-ETJ) компании "Когалымавиа"(Метроджет), летевший из Шарм эль-Шейха в Санкт-Петербург выполнявший рейс 7K9268, упал утром 31-го октября 2015 г. в Египте. Самолет упал в местности в ста километрах от Эль-Ариша. Египетские специалисты получили первые данные с бортовых самописцев самолета А321. Согласно им, экипаж лайнера не запрашивал у авиадиспетчеров аварийную посадку. Все 224 человека на борту погибли. Все граждане РФ. 31.10.2016 - МАК: „В настоящее время в соответствии с международными правилами расследования авиационных происшествий (Приложение 13 ИКАО) расследование проводится властями Арабской Республики Египет при участии специалистов Межгосударственного авиационного комитета, Франции, Германии, Ирландии, США. К данному моменту комиссия по расследованию собрала и проанализировала информацию об экипаже, об эксплуатации ВС, о работе авиационной техники в последнем и предыдущих полетах. Со стороны участников расследования Египетским властям была передана вся необходимая информация о летной деятельности экипажа и авиакомпании, техническом состоянии воздушного судна, конструкции самолета и двигателей. В ходе полевого этапа расследования была составлена схема разброса элементов конструкции на местности (кроки). В течение 2015 года в Египте, в России, в Германии и во Франции были проведены исследования фрагментов воздушного судна, а также бортового оборудования, имеющего энергонезависимую память. В сентябре 2016 в Каире с участием специалистов МАК, Франции, Германии, Ирландии, США была выполнена "выкладка" фрагментов конструкции воздушного судна и двигателей. Самолет А-321 (EI-ETJ) на руската авиокомпания Метроджет изпълняващ полет 7K9268 от Шарм ел Шейх за Санкт Петербург в Русия се е разбил 23 минути след излитането си. Мястото накатастрофата е на около 50 км ЮИ от гр. Хасна. На борда е имало 224 души. Няма оцелели. Изхождайки от данните на бордовите самописци, анализа на отломките и събраната информация за самолета, екипажа и пътниците дава възможност на разследващите да заключат, че катастрофата е в резултат на високоенергетично и динамическо въздействие върху обшивката на самолета „отвътре-навън” довело да разкъсването ѝ с последвала декомпресия на борда. Екипажът не е имал време или физическа възможност да съобщи за извънредна ситуация на борда и да поиска принудително кацане. Иначе казано, имало е взрив на борда. Отговорност за катастрофата е поела въоръжена ислямистка групировка действаща на п-в Синай близка до „Даеш”. Разбираемо е нежеланието на египетските власти, да се докаже, че катастрофата е резултат на терористичен акт, но в някои медии изтече информация, че са извършени арести на лица заподозрени в позготовката и извършването на деянието. Разследването продължава.